The builders over at Cordoba are putting out some very musical ukes, aesthetically pleasing, easy to play, they intonate properly, hold their tuning. 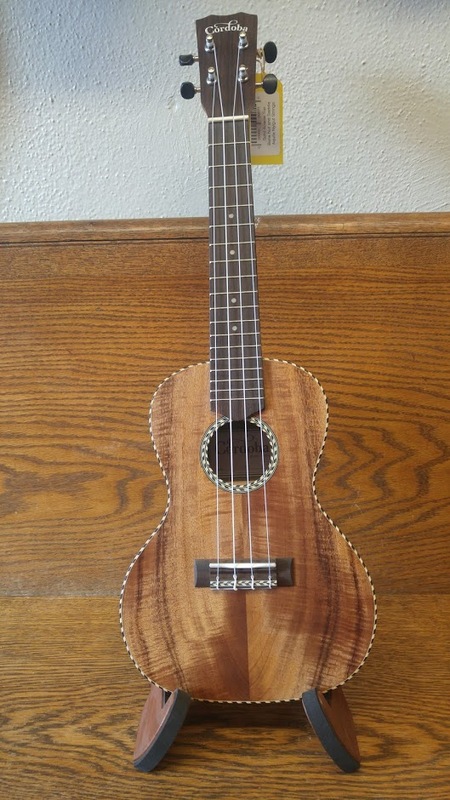 This is their very beautiful 25C, Concert Ukulele in solid Acacia Wood. A very warm, clear, and inviting tone. With the great diversity of each specimen of Acacia, every one of these ukes is uniquely beautiful. Can’t you just imagine yourself on stage with this beauty?